Today is the 57th birthday of Bob Pease. 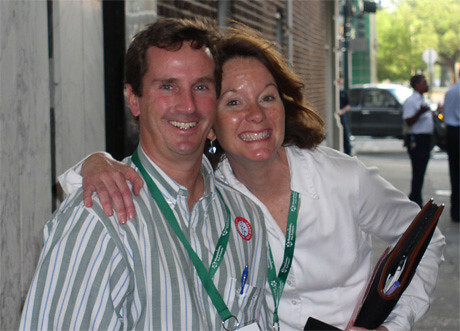 Bob is the CEO of the Brewers Association and has been integral to their growth. He’s been with the BA since 1993 and was made V.P. in 1999. A few years ago he was promoted to COO, and in August of 2014 was promoted yet again. He’s worked directly on the Export Development Program and also on Government Affairs, especially with respect to Federal Excise Tax legislation. Join me in wishing Bob a very happy birthday. 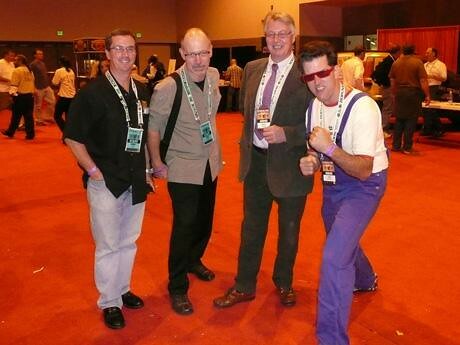 On the floor at GABF in 2007, with Ray Daniels, Mark Dorber, publican extraordinaire, and John Mallet, from Bell’s Brewery. With Nancy Johnson at CBC in New Orleans. 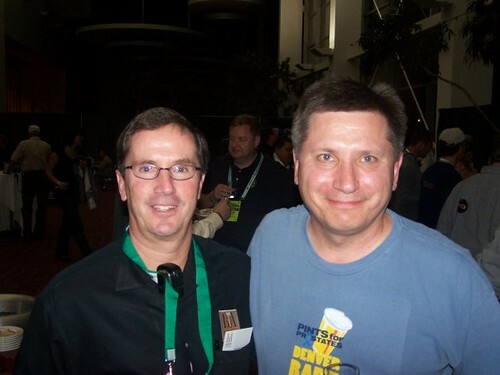 Bob with Rick Lyke at a Pints For Prostates event. 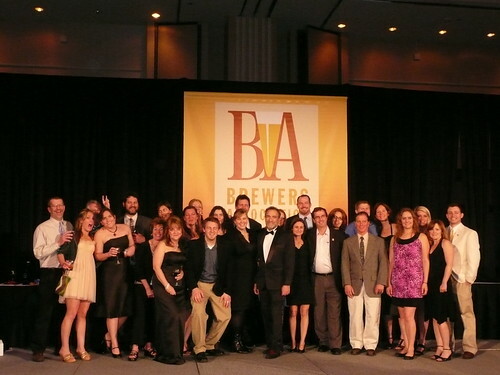 The BA staff at CBC a few years ago in Chicago. That’s Bob second to the right of the tuxedo (which is Charlie Papazian) and next to Julia Herz. As I’ve always said, “Give Pease a chance!”. Bob is amazing. He is a huge reason the Brewers Association exists today. Happy Birthday Bob!